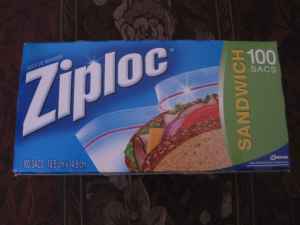 I saw your ad on Craig's List for the box of 100 Ziplock bags for $5.00 http://toronto.en.craigslist.ca/bra/hsh/2230042806.html. I would like to congratulate you on your understanding of Criag's List. Craig's List is for buying things from strangers for approximately their full retail value. The point is not to get a good deal but rather to experience the joys of taking public transit across town and making a transaction with someone who would not dream of just giving away, using or selling at a discounted price, their box of sandwich bags. These are the people I want to meet. How about we meet somewhere mutually inconvenient for both of us? Maybe the final stop on one of the subway lines? Again, congratulations on using Craig's List appropriately. Hats off to you.